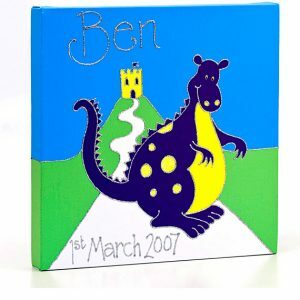 A personalised canvas print makes a wonderful birth or Christening present providing something to keep and remember from that special occasion. 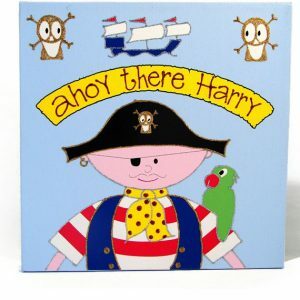 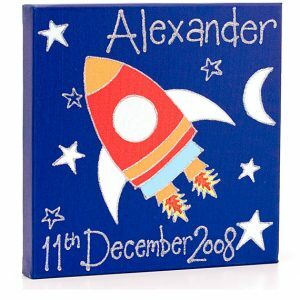 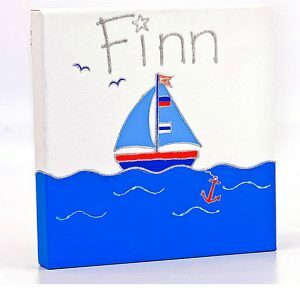 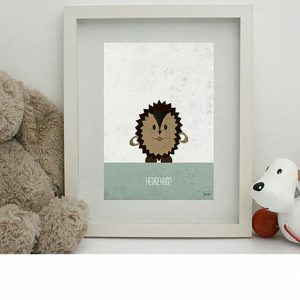 Choose from a wide variety of designs including the popular rocket canvas for boys or the fairy wishes canvas for girls. 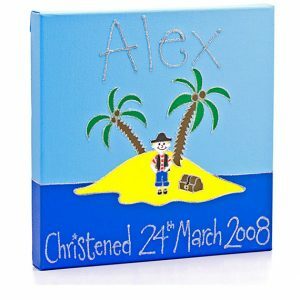 Simply add your name and date of birth or message before checkout. 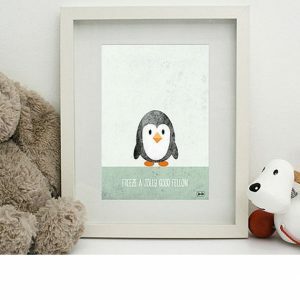 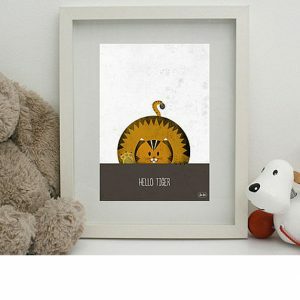 For a beautiful framed piece of nursery artwork take a look at the lovely collection from LeeLee Illustrations, all produced from his home studio in the UK. 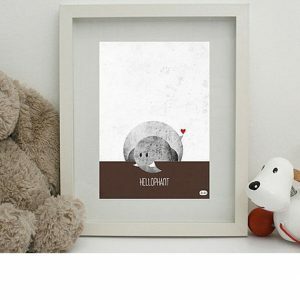 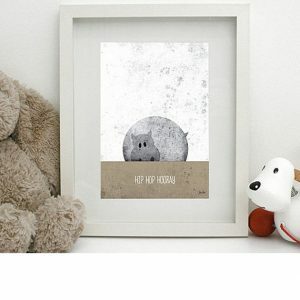 He has created a range of gorgeous little creatures all with a hint of humour – we love the hellophant. 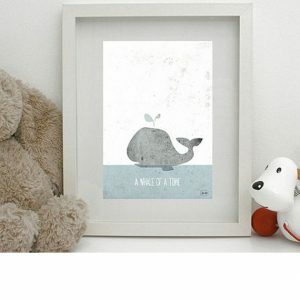 Olli Ella have introduced a range of framed prints to match their stunning bedding collections. 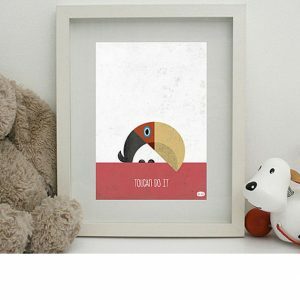 For those who are looking for a beautiful way to show the numbers and alphabet they have also created two wonderful posters. 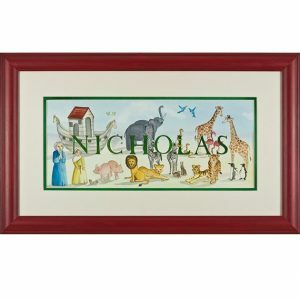 Finally, there are also four wonderful framed watercolour prints to choose from again with the option to personalise. 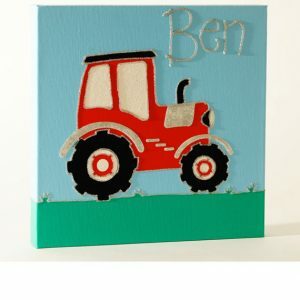 They make the perfect Christening or new baby gift. 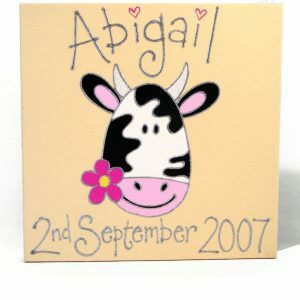 Each watercolour can be personalised with a name, date of birth and message making them a gift to treasure forever. 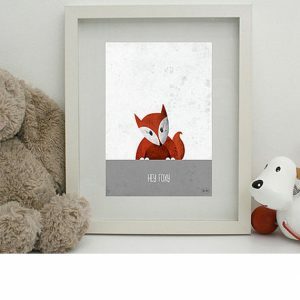 Choose between the fairy watercolour print for the girls or the rocket watercolour print for the boys.